Microsoft promised in January that the Xbox app for Windows 10 would bring key console features to the PC operating system, and today it delivered some of those features. Developers and anyone else currently using Windows 10 can now access their Xbox One game clips, search for friends, like and delete Activity Feed comments, and see more info from their Xbox profiles onscreen at once thanks to some interface tweaks. In addition the Xbox app can now better cope with changing window sizes and features recently played games across all Windows and Xbox devices and OneGuide and Universal Remote controls within the app. 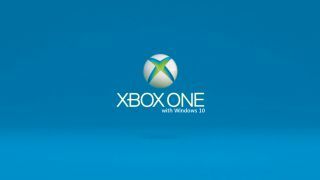 Possibly most interesting is the ability for users to connect to their Xbox Ones from the Windows 10 Xbox app, then control the console with a virtual controller on their PCs - although this isn't ideal for actually playing games, it might come in handy. As Microsoft's Larry "Major Nelson" Hryb notes, the Xbox Forum has a new Xbox on Windows 10 area for feedback related to the app, so head there for help or to let Microsoft know what you think of the new update.